Deconstructing Dad for Dad’s Day! So you could get your dad another unneeded tool for his workshop, or another unneeded tie for his closet (though I don’t think most people even wear ties any more, do they?). 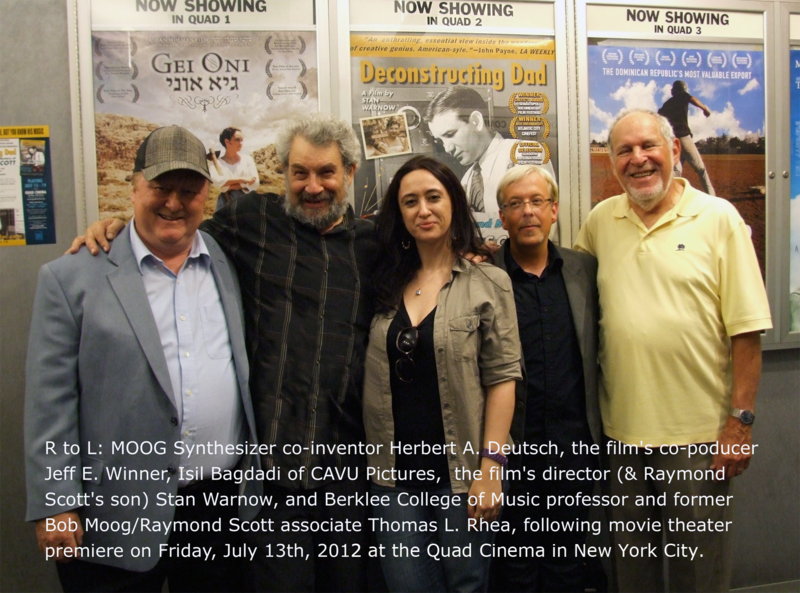 But you get the idea — a DVD of Deconstructing Dad would of course make a terrific and original Father’s Day present for the Raymond Scott fan, or any electronic music loving, Looney Tunes loving, or jazz history loving…..Dad! And of course if you want to get something a bit more traditional, you can also get film related and Raymond Scott related t-shirts (and other shirts and items) from our Merch Table. Either way you’ll be helping to support independent film and of course….. .me! Delivery to the USA generally takes about a week or so, so as of this posting, there’s still plenty of time until the big day on June 16th. And if you read this close to the date, expedited shipping is available…..
G’day, and delighted to announce that the film will be shown down under on Sunday, June 2nd at the Australian Centre for the Moving Image as part of their Jazz on Film series. CMI is located in the heart of Melbourne’s famous meeting place, Federation Square, and was founded to celebrate , explore and promote the cultural and creative richness of the moving image in all its forms — film, television and digital culture. Of course we here at scottdoc.com are thrilled to be included in this program, and it represents a new milestone in the film’s history as this is the most far flung event to date. The screening will be held at 2pm at the ACMI theatres within the centre complex, here’s a link to theACMI page for the screening. Tickets start at $11 for members, regular price is $15. Wish I could be there, but it’s a long and expensive trip so unfortunately I can’t be. But if you’re in the area hope you can make it. 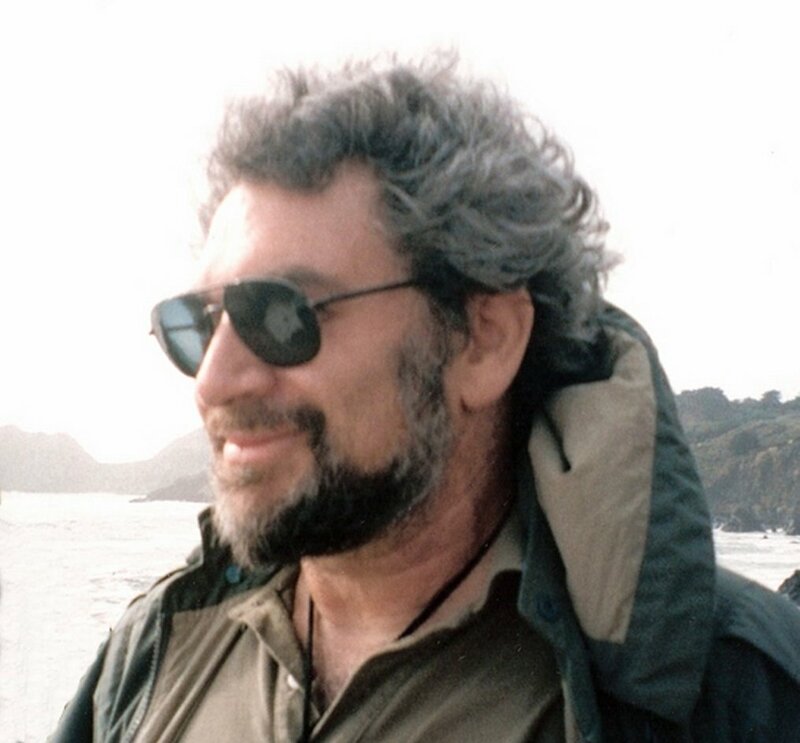 Thanks to Centre Programmer Spiro Economopoulos for seeking the film out for this series….. Thrilled to announce that the film will be at the Guild Cinema in Albuquerque, New Mexico for three nights, the weekend of March 8-10. The Guild is my favorite kind of theater, run by and for true film lovers. It’s the only real art house left in Albuquerque, and I’m delighted they’re going to show Deconstructing Dad, and equally delighted that I’m going to be able to attend in person for the Friday and Saturday night screenings — we’ll be doing Q&As after the shows, and following the independent filmmaker’s rules of the road I’ll have DVDs for sale. The Guild is located at 3405 Central Avenue NE Albuquerque, NM in the heart of the historic Nob Hill district, and the phone number is (505) 255-1848. So if you’re located anywhere near Albuquerque, hope to see you there! It’s been another year full of lots of events for the film, so time to look back at 2012 and to thank once more those who made the last 12 months another very memorable year. As I did last year I’m beginning with thanks to all who have purchased the DVD and viewed the film at festivals and other events — your support of independent film is inspiring and hugely appreciated. Though I was as busy as ever with film related activities, there weren’t any showings in the first few months of the year, but then in July the film opened theatrically at the Quad Cinema in Manhattan. Of course this was a major milestone for the film and for me, and particular and perpetual thanks to my fabulous publicist, Isil Bagdadi of Cavu Releasing, who made sure the word got out to all the right people about the film’s opening. We got wonderful NYC and national reviews which have led to all kinds of possibilities I hope will come to pass in 2013. Huge thanks as well to Elliot Kanbar of the Quad who is a true lover of all kinds of film and a great friend to and supporter of independent filmmakers. And thanks to the Quad staff for their hard work and for making me feel so welcome during the film’s run. And of course thanks to to Tom Rhea, Jeff Winner, and Herb Deutsch for supporting the film by attending the opening and participating in Q&As. As part of the Quad opening I was also interviewed on radio and for various publications. Particular thanks to Bruce Bennet of the Wall Street Journal, Doug Doyle and Michael Bourne of WBGO, Leonard Lopate of WNYC and Michael Shelley of WFMU, and to all the other media folks who were kind enough to help promote the film and write nice things about me. In September the film was at the Buffalo Film Festival, thanks to Ed Summer and Roberta Friedman for making it all happen. October brought the film to the Earshot Jazz Film Festival in Seattle, thanks to Adam Sekuler, the programmer there for presenting the film. And then in November the film was presented at the Cleveland Art Museum much gratitude to John Ewing who runs their film program for having the film there. It’s been an exceptional year, so time to look back at 2011. Last year I wrote 2010 had been, “a year in which the film has been at many international festivals, and as a result I’ve traveled to lots of great places and met a spectrum of new friends and colleagues,” and that emphatically applies again to 2011. So I’m going to thank those who made 2011 one of the best of my professional life. I’m beginning with thanks to all who have purchased the DVD and viewed the doc at festivals and other events — your support of independent film is inspiring and appreciated. 2010 started off with a great festival experience at in Calgary, Alberta at the Soundasaurus Festival at the EPCOR center. Jodi Lucas was the programmer who brought the film there and was wonderful host during my stay. Later in January, another great experience at the Club Transmediale festival in Berlin. The man who made it all happen was Remco Schuurbiers. The film was also in the REEL Music festival in Portland, Oregon, last January, Bill Foster is the Director there. I couldn’t make it to Portland, but I did go there last September for another terrific event — the Jackpot Music Film Festival, run by Issac Slusarenko the owner of the fabulous Jackpot Record shops there. In February the film was shown at the Glasgow Film Festival in Scotland. Stu Brown’s Sextet, who live in Glasgow, performed and filled-in for the Q&A. 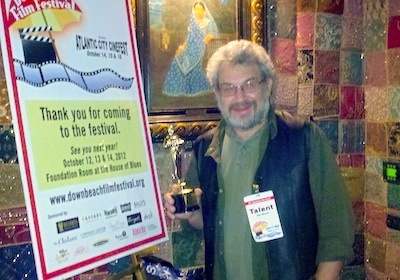 Then in March I was at the wonderful Sebastopol Documentary Film Festival in the wine country north of San Francisco. A big shout out to festival programmer Jason Perdue (and wife Gena) as well as Robert and Paula Brent who graciously let me stay at their lovely home in the nearby countryside. This would have been a fabulous festival in any case but was made all the better bythe fact that the film won the Critics Award. Thanks again to critic Gil Mansergh for picking the film. In April the film was at the electronic music oriented Together Festival in Boston, run by David Day — I had a lovely evening there as Tom Rhea and Hoby Cook , who are both in the film, were able to attend, and thanks to Berklee for providing us with a screening room. And then I had another lovely event, in Peekskill, NY, at the Center for The Digital Arts at Peekskill Community College organized by Lise Prown. In early April there was the showing at the Unsound Festival in Manhattan, programmed by Andy Battaglia. In early July the film and I went to the Karlovy Vary International Film Festival in the Czech Republic. This was a great trip and another truly memorable experience — the KVIFF is one of Europe’s biggest and there were two full-house screenings while I was there — Pavel Klusak, the festival programmer for music films is the man who made it all happen. Back in the USA later in July the film shown in Sacramento at Movies On A Big Screen, an ongoing weekly festival programmed by Robert McKeown. August was notable for an event at the municipal art gallery in the town of Milton Keynes about 50 miles Northwest of London — the film was selected by local sound artist Caroline Devine. At the end of the month I was fortunate to be invited to Museum Ludwig in historic Cologne (Köln) Germany during an event that’s part of the reiheM concert and film series. This came about through the efforts and enthusiasm of Frank Dommert from A-Musik, and reiheM. In October there were two New Jersey festivals, the first was the ATP festival on October 2nd in Asbury Park, NJ (ATP stands for All Tomorrow’s Parties) — a wonderful fest that started in the UK and now has worldwide events. Deborah Higgins and Barry Hogan, are festival organizers and thanks too to Aidan Flax-Clark of Lapham’s Quarterly, who brought the film to ATP’s attention, and to Abbey Lustgarten and Jason Altman of the Criterion Collection for including the film in their curated film section at the festival. A couple of weeks later I was in Atlantic City for the Downbeach Film Festival where Deconstructing Dad won the Best Documentary award. A real thrill and thanks to Bill Sokolic, Joelle Sokolic, Ned Eckhardt, and everyone on the festival staff for the award and a great time in Atlantic City. And thanks as well to George Stewart who originally suggested that I submit my film to the festival. The film was also shown in Ghent, Belgium in October as part of the 38th annual Gent International Film Festival, programmer Jeroen Derycke was responsible for this showing. In November the film was screened in Israel at the Jewish Eye World Jewish Film Festival in Ashkelon it was very satisfying to have the film shown there though I couldn’t attend — Gady Castel of the festival was instrumental in making it possible. And the final festival of the year was in November at Scheld’apen, programmed by David Van der Weken. Scheld’apen is a youth culture center and a contrary art workshop in Antwerp, Belgium that has an annual program that features films about early electronic music and synthesizer pioneers. There were also several excellent radio interviews in 2011. On November 18th, Jeff Winner (who co-produced the film) and I were interviewed on NPR‘s “Radio Times” with Marty Moss-Coane, produced by Patty Leswing — WHYY in Philadelphia is the originating station. You can still listen to that broadcast — here’s a link. In October as part of spreading the word for the Atlantic City festival, George Stewart interviewed me on his show Crazy College which aired on radio station WVUD in Wilmington, Delaware. There were three other notable radio interviews last spring and summer, one with the legendary Jordan Rich on WBZ in Boston, another with musical historian and preservationist David Miller for his NPR show Swingin’ Down The Lane, and a third with Technically Classical, a radio show on the University of London radio station. They put together a terrific piece about the film and Raymond Scott. To have a listen to this half hour show click here. Thanks to Laurel Murray and everyone else at the show for making it all happen.